These industrial-grade precision string potentiometers range from 0-62 (1574.8mm), 0-125 (3175mm) and 0-175 (4454mm) inches. 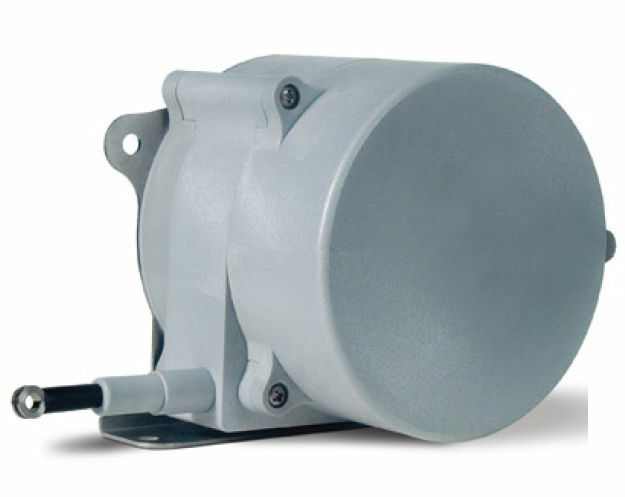 SR1A is a rugged, low-cost, high performance string pot built for wet environments and outdoor applications Originally designed for off-road construction equipment, the SR1A is the perfect low-cost solution for OEM and stocking distributors. The SR1M is a part of a series of rugged, low-cost, high performance string pots built for wet environments and outdoor applications. Designed for the rigors of outdoor construction equipment or the demands of the factory floor, the SR1M is the perfect low-cost solution for OEM and stocking distributers. What sets this sensor apart from other string pots, is the internal programmable digital circuitry that gives the customer a one-size-fits-all approach for many applications. The SR1M ships factory calibrated to the full stroke range but the output signal can be easily re-scaled to match any stroke down to 1 inch (25mm). The SR1V is part of a series of rugged, low-cost, high performance string pots built for wet environments and outdoor applications. Designed for the rigors of outdoor construction equipment or the demands of the factory floor, the SR1M is the perfect low-cost solution for OEM and stocking distributers. The SR1E is part of a series of rugged, low-cost, high performance string pots built for wet environments and outdoor applications. Designed for the rigors of outdoor construction equipment or the demands of the factory floor, the SR1E is the perfect low-cost solution for OEM and stocking distributers. At the heart of this sensor is a robust incremental encoder that delivers a linear resolution of 101 pulses per inch. The SR1E ships with an industry standard push-pull encoder driver that can be powered by 5-30 VDC. Each sensor ships with a 4-pin, field installable, M12 connector and additional 13 ft. (4m) cordset is also available.